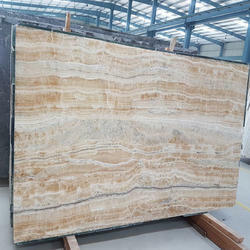 In order to keep pace with the never ending demands of customers, we are involved into offering wide range of Marble Countertop. Basins are the items which provide utility, along with lending an aesthetic look to the kitchen. They are generally fitted on the kitchen slabs and other such places. When rigged individually (i.e., without any base like slab, etc. ), basins are generally supported by iron angles. 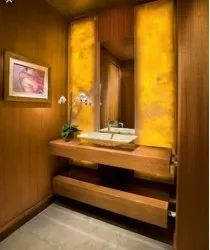 However basins are made from several materials, but those made of sandstone are unmatched in quality and appeal. Marble products are processed from blocks that are quarried all over the world. This metamorphic rock is comprised primarily of calcium carbonate and other minerals that create a wide variety of colors. Marble is commonly used for vanities, floor tiles, wall tiles, & other surfaces such as fireplaces, columns, balustrades, water tables, steps, thresholds & windowsills.